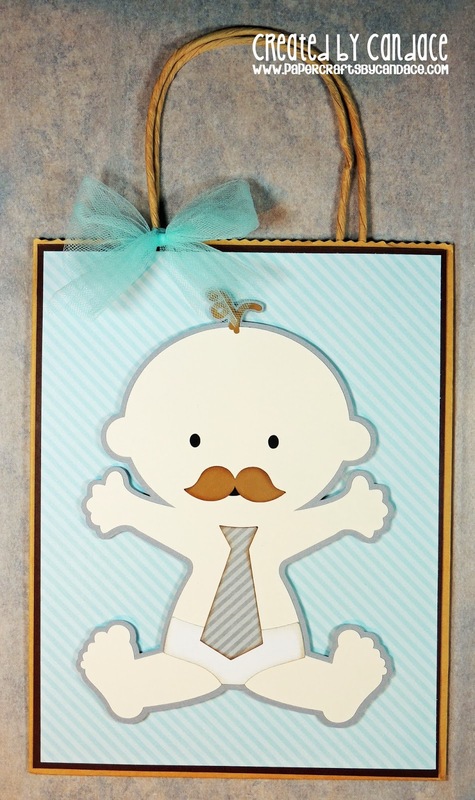 Paper Crafts by Candace: XOCHITL'S BABY SHOWER Blog hop!! Hi Everyone! 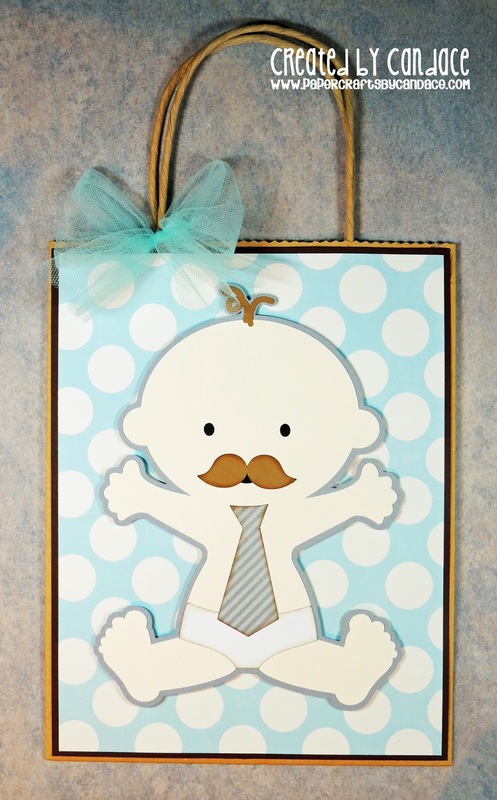 And welcome to XOCHITL'S BABY SHOWER blog hop!! I you are here from Abby's blog then your in the right place. If not then make sure to start at the beginning! Here is what I created for Xochitl's shower! Every baby shower needs cute prize bags! These are 8x10 inch kraft bags that I decorated the front on. Here is the other one.. stripes!! So cute right? Thanks so much for checking out what I made! Next up on the hop is GABY! these are such and adorable gift bag!!! I just love it!! so cute!! La bolsa luce absolutamente preciosa. OMG lovely bag!!! is simply cute! que hermosa bolsita, super tierna la amo. Bella hasta que dan ganas de ir al BabyShower!! que hermosas bolsitas para baby shower !! felicidades!! woow i loved your bags, the baby is so cute!!! cute idea, Candace! love them! it's a really cute bag!!! Que linda bolsita, lista para poner un precioso regalo dentro de ella!! Lovely, Lovely, bag!!!!! it´s really cute and make me smile!!! Que bonita bolsa y ese bebecito con bigote esta hermoso! Super cute bag - love that baby.